In addition, a will alone may not achieve all of your estate-planning objectives. For instance, you can't impose any conditions on gifts made through a will. 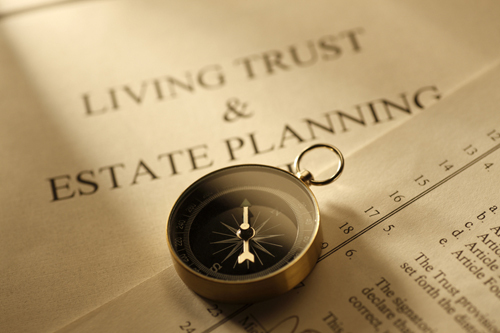 A revocable living trust also is a legally valid document, and you may be able to transfer securities, real estate, or other property to the trust, and you can give the trustee power to manage it on behalf of the designated beneficiaries. Typically, you might name yourself as both the trustee and the initial beneficiary of the trust. At the same time, you can designate other family members—say, your spouse, your children, or both—as secondary beneficiaries entitled to receive remaining assets in the trust when it terminates. With a living trust, you'll retain a high level of control while you're alive. For instance, you may be able to sell trust assets and keep the cash, amend the terms of the trust (for example, by changing secondary beneficiaries), or revoke it entirely. Unlike a will, a living trust allows you to place restrictions on gifts to beneficiaries. The trust becomes irrevocable when you die. The main advantage living trusts have over wills is that the property transferred to the trust doesn't have to go through probate. Depending on the state in which you live, probate can be time-consuming. In addition, unlike a will, a living trust isn't available to public inspection, ensuring complete privacy with respect to the assets it holds and distributes. But don't assume that a living trust is a panacea. It will require some time and work on your part to make all of the necessary arrangements. Also, if you devise a "pour-over will" to catch assets not in the living trust, the will must be probated anyway. Finally, despite some claims to the contrary, there are no estate-tax benefits for property transferred to a living trust. Clearly, a living trust may provide valuable benefits, but it usually works best hand in hand with your will. We can help you work with your attorneys to find a solution that works for you.